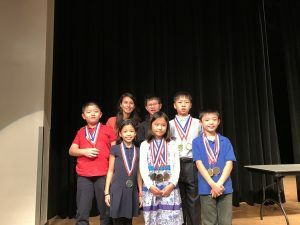 Six HISD students from four schools took home top honors in three categories recently at the Math and Science Competition in Fort Lauderdale, Fla. This entry was posted in Achievement/Recognition, STEM and tagged Kolter Elementary, Lanier Middle, Mandarin Chinese Immersion Magnet, T.H. Rogers on February 7, 2017 by HISD Communications.